st. stephen’s runner’s pavillion — A Parallel Architecture. Austin, Texas. 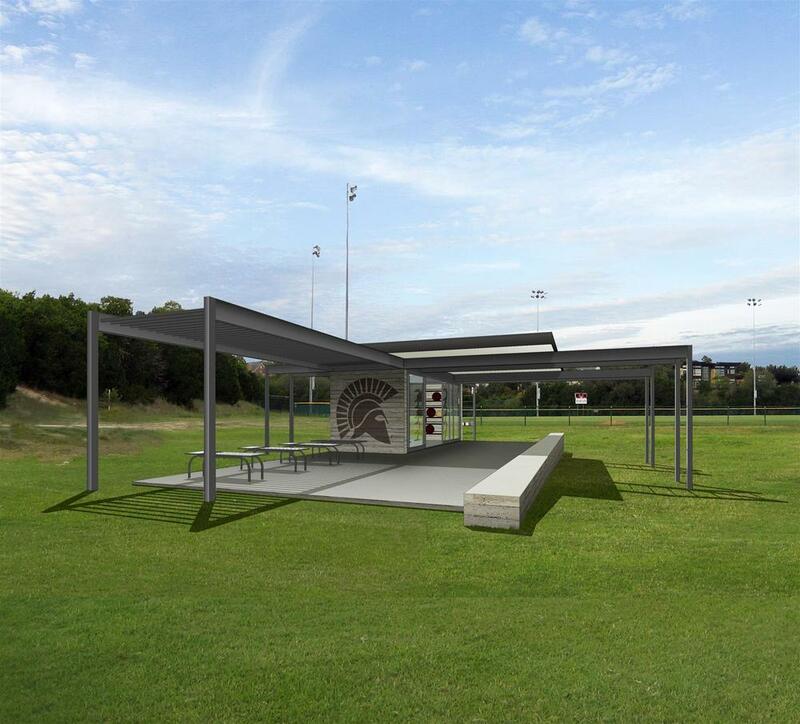 Centrally located in St. Stephen’s athletic complex, the proposed structure serves to provide an outdoor runner’s classroom from which to begin and end each practice. The shaded pavilion will enable integrated workouts that include track, trail, road, strength training and static stretching. In addition, the multipurpose pavilion will serve as a headquarters during Track & Field meets. A 150sf secure storage space, accessible by sliding translucent panels, will house exercise equipment.